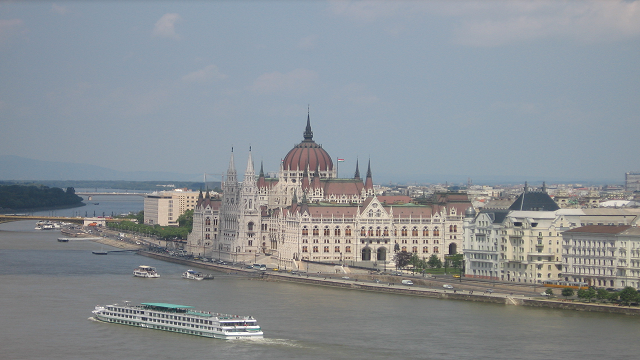 Users of Kilgray's memoQ translation software have met in Budapest for its memoQfest conference for the past eight years, with many of the 250 delegates attending regularly and in some cases, annually. Although I've used the software since 2009, this was my first time at the event – but I doubt it will be my last. So what's the appeal, and why is it worth investing the time and money? First, it's an opportunity to find out more about both the product and the company. Unusually, this year's memoQfest did not coincide with the launch of a major new version – memoQ 2016 will follow in the autumn – but it was useful to focus on a few features that have undergone significant changes in the last year and hear about what's in the pipeline. One of the most interesting features for me was the revamped Language Terminal, Kilgray's free online resource targeted at individual translators. This offers a number of handy functionalities, including job tracking, quoting, memoQ project file back-ups and perhaps most usefully, the ability to share translation memories (TMs) and termbases with selected colleagues, which could be a practical option for working in teams. The new memoQ plug-in for SDL Trados Studio also looks useful for translators who work with both products, providing direct access to your memoQ TMs when working on a Studio project. Secondly, it's a chance to explore some of the more advanced features of the software and its capabilities. I didn't attend the masterclass day this year, but many of the presenters at the main conference were real experts in their field: I certainly picked up some useful tips for saving time and streamlining processes, for example for extracting and managing terminology, and using templates. And while I can't yet claim any level of expertise in the matter, a session on the basics of writing regular expressions for advanced searches at least unlocked a few mysteries and pointed me towards some user-friendly resources. Thirdly – and I think this probably explains why enthusiastic “memoQers” go back to the event year after year – it's a chance to influence the development of the software. The final session of the conference is when users get the opportunity to talk frankly to the company's three founders and members of the development team about what they like (or not) and the new features they'd like to see prioritised, and for an honest conversation about what's feasible, and when. As well as learning more about the software, the conference is a good opportunity to talk to users from other parts of the industry: most of this year's attendees were representatives of translation companies and agencies, and end clients using memoQ in a variety of set-ups. I certainly exchanged a lot of business cards but it was equally useful to be able to chat informally about the state of the industry, future trends and the sort of skills and knowledge clients are looking for. And of course, it was an ideal occasion to promote CIOL and our members. Lastly, there's no rule that says continuing professional development can't be enjoyable! Budapest in the spring was beautiful and the Kilgray team were both creative and generous in the activities they organised for delegates outside the main business of the conference. So, was it worth it? Given the type of work I do, absolutely. If there was one message I got consistently from both translation agencies and end clients working mainly with commercial and technical documentation, it was that proficiency in using translation technologies is increasingly essential. Getting out from behind my desk for a couple of days to learn from people with real expertise and share ideas with colleagues was stimulating, refreshing and for me, very worthwhile – here's to memoQfest 2017!